Net Promoter Score(NPS) is a management tool that can be used to gauge the loyalty of a firm’s customer relationships. 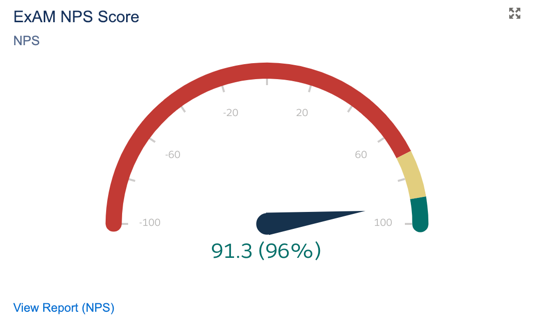 Learn how to implement NPS using ExAM so that you can leverage that data to drive valuable business decisions. 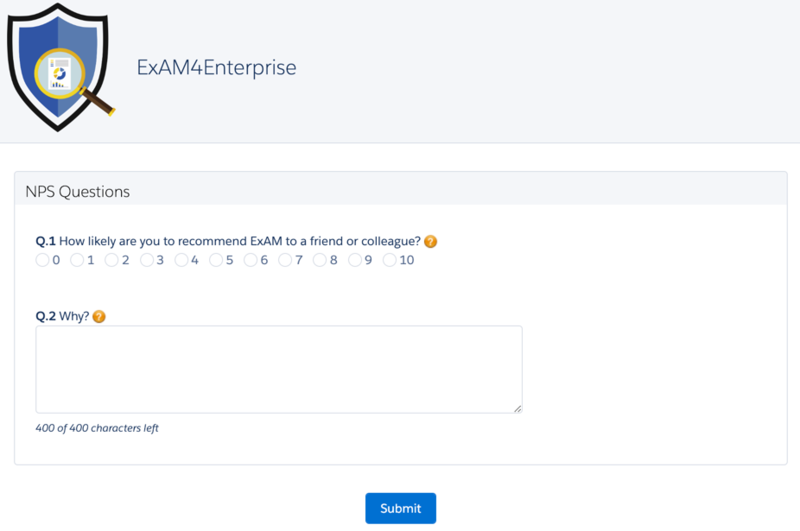 ExAM allows you to quickly and easily create custom NPS surveys based on your products or company. ExAM will record your responses in real time and is seamlessly integrated with Salesforce. All the information you collect will be mapped into Salesforce based on your specifications. ExAM’s seamless integration to Salesforce allows you to have the nearly unlimited reporting capabilities of Salesforce at your fingertips. Make custom reports and dashboard to display the information that is important to you. Interested in learning more about how to implement NPS via ExAM? Check out our complete blog series on NPS and the steps necessary to get NPS up and running in your Org. What are you waiting for? Contact us and get NPS up and running!